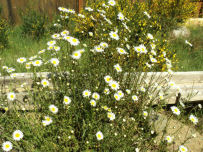 "Leucanthemum vulgare is a PERENNIAL growing to 0.6 m (2ft) at a medium rate.. It is hardy to zone (UK) 3 and is not frost tender. It is in flower from Jun to August. The flowers are hermaphrodite (have both male and female organs) and are pollinated by Bees, flies, beetles, lepidoptera, self.The plant is self-fertile.. 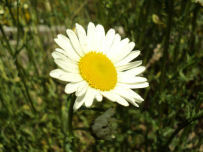 Dosages (Oxeye Daisy) — 1 cup 3 ×/day (PH2). 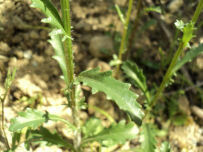 Tea: the plant was sometimes made into a tea to treat asthma. [DPL Watts] "